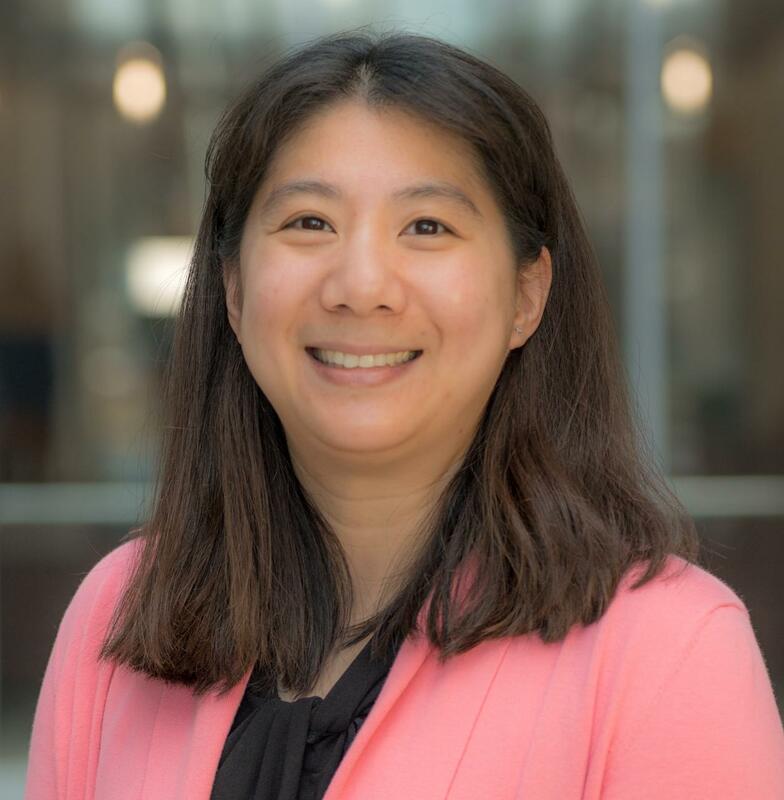 Elizabeth S. Chen, PhD, FACMI is the Founding Associate Director of the Brown Center for Biomedical Informatics (BCBI), Associate Professor of Medical Science, and Associate Professor of Health Services, Policy & Practice at Brown University. Dr. Chen's research involves exploring and improving use of data, information, and knowledge to support biomedical discovery and healthcare delivery. Specific research interests include clinical documentation, clinical decision support, health information needs, standards and interoperability, natural language processing (NLP), and data mining. Within BCBI, Dr. Chen leads the Clinical Informatics Innovation and Implementation (CI3) Laboratory that has a three-fold mission to: (1) innovate use of the Electronic Health Record (EHR) for primary (e.g., patient care) and secondary (e.g., research, quality, and public health) purposes, (2) implement solutions within operational clinical and research systems, and (3) inspire the next generation of clinical informaticians. Her NIH/NLM-funded research involved leveraging EHR data and a suite of techniques (including NLP, data integration, and data mining) to collect and analyze social, behavioral, and familial factors for specific conditions (pediatric asthma and adult epilepsy). More recent research involves using EHRs and computational approaches for supporting mental health ("mental health informatics"). As part of the leadership for the Advance-CTR Biomedical Informatics and Cyberinfrastructure Enhancement Core, Dr. Chen is actively involved with initiatives for making EHR data accessible and usable for the clinical and translational research community in Rhode Island. She is also contributing as a Faculty Scholar to the research and evaluation infrastructure for supporting work on a broad range of health initiatives within the Hassenfeld Child Health Innovation Institute. Dr. Chen received a BS in Computer Science from Tufts University and PhD in Biomedical Informatics from Columbia University. Prior to joining Brown University in July 2015, she held appointments at Columbia University, Partners HealthCare/Brigham and Women’s Hospital/Harvard Medical School, and the University of Vermont. Guest Blog Post on "Technology and Data in Mental Health: Applications for Suicide Prevention"
Melton GB, Wang Y, Arsoniadis E, Pakhomov SV, Adam TJ, Kwaan MR, Rothenberger DA, Chen ES Analyzing Operative Note Structure in Development of a Section Header Resource.. Studies in health technology and informatics. 2015; 216 : 821-6. Rajamani S, Chen ES, Akre ME, Wang Y, Melton GB Assessing the adequacy of the HL7/LOINC Document Ontology Role axis.. Journal of the American Medical Informatics Association : JAMIA. 2015; 22 (3) : 615-20. Chen ES, Carter EW, Winden TJ, Sarkar IN, Wang Y, Melton GB Multi-source development of an integrated model for family health history.. Journal of the American Medical Informatics Association : JAMIA. 2015; 22 (e1) : e67-80. Winden TJ, Chen ES, Wang Y, Sarkar IN, Carter EW, Melton GB Towards the Standardized Documentation of E-Cigarette Use in the Electronic Health Record for Population Health Surveillance and Research.. AMIA Joint Summits on Translational Science proceedings AMIA Summit on Translational Science. 2015; 2015 : 199-203. Chen E, Garcia-Webb M An analysis of free-text alcohol use documentation in the electronic health record: early findings and implications.. Applied clinical informatics. 2014; 5 (2) : 402-15. Wang Y, Pakhomov S, Dale JL, Chen ES, Melton GB Application of HL7/LOINC Document Ontology to a University-Affiliated Integrated Health System Research Clinical Data Repository.. AMIA Joint Summits on Translational Science proceedings AMIA Summit on Translational Science. 2014; 2014 : 230-4. Bill R, Pakhomov S, Chen ES, Winden TJ, Carter EW, Melton GB Automated extraction of family history information from clinical notes.. AMIA ... Annual Symposium proceedings / AMIA Symposium. AMIA Symposium. 2014; 2014 : 1709-17. Chen ES, Carter EW, Sarkar IN, Winden TJ, Melton GB Examining the use, contents, and quality of free-text tobacco use documentation in the Electronic Health Record.. AMIA ... Annual Symposium proceedings / AMIA Symposium. AMIA Symposium. 2014; 2014 : 366-74. Rajamani S, Chen ES, Wang Y, Melton GB Extending the HL7/LOINC Document Ontology Settings of Care.. AMIA ... 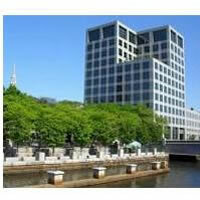 Annual Symposium proceedings / AMIA Symposium. AMIA Symposium. 2014; 2014 : 994-1001. Chen ES, Sarkar IN Mining the electronic health record for disease knowledge.. Methods in Molecular Biology. 2014; 1159 : 269-86. Zhang Y, Sarkar IN, Chen ES PubMedMiner: Mining and Visualizing MeSH-based Associations in PubMed.. AMIA ... Annual Symposium proceedings / AMIA Symposium. AMIA Symposium. 2014; 2014 : 1990-9. Bakken S, Jia H, Chen ES, Choi J, John RM, Lee NJ, Mendonca E, Roberts WD, Velez O, Currie LM The Effect of a Mobile Health Decision Support System on Diagnosis and Management of Obesity, Tobacco Use, and Depression in Adults and Children.. The journal for nurse practitioners : JNP. 2014; 10 (10) : 774-780. Sarkar IN, Chen ES, Rosenau PT, Storer MB, Anderson B, Horbar JD Using Arden Syntax to identify registry-eligible very low birth weight neonates from the Electronic Health Record.. AMIA ... Annual Symposium proceedings / AMIA Symposium. AMIA Symposium. 2014; 2014 : 1028-36. Chen ES, Melton GB, Burdick TE, Rosenau PT, Sarkar IN Characterizing the use and contents of free-text family history comments in the Electronic Health Record.. AMIA ... Annual Symposium proceedings / AMIA Symposium. AMIA Symposium. 2012; 2012 : 85-92. Sarkar IN, Chen ES Determining compound comorbidities for heart failure from hospital discharge data.. AMIA ... Annual Symposium proceedings / AMIA Symposium. AMIA Symposium. 2012; 2012 : 809-18. Kost R, Littenberg B, Chen ES Exploring generalized association rule mining for disease co-occurrences.. AMIA ... Annual Symposium proceedings / AMIA Symposium. AMIA Symposium. 2012; 2012 : 1284-93. Melton GB, Manaktala S, Sarkar IN, Chen ES Social and behavioral history information in public health datasets.. AMIA ... Annual Symposium proceedings / AMIA Symposium. AMIA Symposium. 2012; 2012 : 625-34. Chen ES, Melton GB, Sarkar IN Translating standards into practice: experiences and lessons learned in biomedicine and health care.. Journal of biomedical informatics. 2012; 45 (4) : 609-12. Chen ES, Manaktala S, Sarkar IN, Melton GB A multi-site content analysis of social history information in clinical notes.. AMIA ... Annual Symposium proceedings / AMIA Symposium. AMIA Symposium. 2011; 2011 : 227-36. Ye H, Chen ES Attribute Utility Motivated k-anonymization of datasets to support the heterogeneous needs of biomedical researchers.. AMIA ... Annual Symposium proceedings / AMIA Symposium. AMIA Symposium. 2011; 2011 : 1573-82. Chen ES, Sarkar IN Towards Structuring Unstructured GenBank Metadata for Enhancing Comparative Biological Studies.. AMIA Joint Summits on Translational Science proceedings AMIA Summit on Translational Science. 2011; 2011 : 6-10. Wright A, Chen ES, Maloney FL An automated technique for identifying associations between medications, laboratory results and problems.. Journal of biomedical informatics. 2010; 43 (6) : 891-901. Melton GB, Raman N, Chen ES, Sarkar IN, Pakhomov S, Madoff RD Evaluation of family history information within clinical documents and adequacy of HL7 clinical statement and clinical genomics family history models for its representation: a case report.. Journal of the American Medical Informatics Association : JAMIA. 2010; 17 (3) : 337-40. Chen ES, Sarkar IN MeSHing molecular sequences and clinical trials: a feasibility study.. Journal of biomedical informatics. 2010; 43 (3) : 442-50. Chen ES, Melton GB, Engelstad ME, Sarkar IN Standardizing Clinical Document Names Using the HL7/LOINC Document Ontology and LOINC Codes.. AMIA ... Annual Symposium proceedings / AMIA Symposium. AMIA Symposium. 2010; 2010 : 101-5. Chen ES, Maloney FL, Shilmayster E, Goldberg HS Laying the groundwork for enterprise-wide medical language processing services: architecture and process.. AMIA ... Annual Symposium proceedings / AMIA Symposium. AMIA Symposium. 2009; 2009 : 97-101. Lee NJ, Chen ES, Currie LM, Donovan M, Hall EK, Jia H, John RM, Bakken S The effect of a mobile clinical decision support system on the diagnosis of obesity and overweight in acute and primary care encounters.. ANS. Advances in nursing science. 2009; 32 (3) : 211-21. Chen ES, Hripcsak G, Xu H, Markatou M, Friedman C Automated acquisition of disease drug knowledge from biomedical and clinical documents: an initial study.. Journal of the American Medical Informatics Association : JAMIA. 2008; 15 (1) : 87-98. Paterno MD, Schaeffer M, Van Putten C, Wright A, Chen ES, Goldberg HS Challenges in creating an enterprise clinical rules service.. AMIA ... Annual Symposium proceedings / AMIA Symposium. AMIA Symposium. 2008; : 1086. Chen ES, Zhou L, Kashyap V, Schaeffer M, Dykes PC, Goldberg HS Early experiences in evolving an enterprise-wide information model for laboratory and clinical observations.. AMIA ... Annual Symposium proceedings / AMIA Symposium. AMIA Symposium. 2008; : 106-10. Chen ES, Wright A, Maloney FL, Van Putten C, Paterno MD, Goldberg HS Enhancing clinical problem lists through data mining and natural language processing.. AMIA ... Annual Symposium proceedings / AMIA Symposium. AMIA Symposium. 2008; : 901. Lee NJ, Chen E, Mendonca EA, Velez O, Bakken S Database design and implementation for a PDA-based decision support system for screening and tailored care planning.. AMIA ... Annual Symposium proceedings / AMIA Symposium. AMIA Symposium. 2007; : 1025. Chen ES, Stetson PD, Lussier YA, Markatou M, Hripcsak G, Friedman C Detection of practice pattern trends through Natural Language Processing of clinical narratives and biomedical literature.. AMIA ... Annual Symposium proceedings / AMIA Symposium. AMIA Symposium. 2007; : 120-4. Chen ES, Borlawsky T, Qureshi K, Li J, Lussier YA, Hripcsak G Monitoring the function and use of a clinical decision support system.. AMIA ... Annual Symposium proceedings / AMIA Symposium. AMIA Symposium. 2007; : 902. Bakken S, Roberts WD, Chen E, Dilone J, Lee NJ, Mendonca E, Markatou M PDA-based informatics strategies for tobacco use screening and smoking cessation management: a case study.. Studies in health technology and informatics. 2007; 129 (Pt 2) : 1447-51. Currie LM, Chen ES Technology evaluation for a mobile fall-injury risk assessment instrument.. AMIA ... Annual Symposium proceedings / AMIA Symposium. AMIA Symposium. 2007; : 922. Chen ES, Bakken S, Currie LM, Patel VL, Cimino JJ An automated approach to studying health resource and infobutton use.. Studies in health technology and informatics. 2006; 122 : 273-8. Chen ES, Wajngurt D, Qureshi K, Hyman S, Hripcsak G Automated real-time detection and notification of positive infection cases.. AMIA ... Annual Symposium proceedings / AMIA Symposium. AMIA Symposium. 2006; : 883. Chen ES, Hripcsak G, Friedman C Disseminating natural language processed clinical narratives.. AMIA ... Annual Symposium proceedings / AMIA Symposium. AMIA Symposium. 2006; : 126-30. Bakken S, Chen E, Choi J, Currie LM, Lee NJ, Roberts WD, Soupios M Mobile decision support for advanced practice nurses.. Studies in health technology and informatics. 2006; 122 : 1002. Zhou L, Tao Y, Cimino JJ, Chen ES, Liu H, Lussier YA, Hripcsak G, Friedman C Terminology model discovery using natural language processing and visualization techniques.. Journal of biomedical informatics. 2006; 39 (6) : 626-36. Mendonça EA, Chen ES, Stetson PD, McKnight LK, Lei J, Cimino JJ Approach to mobile information and communication for health care.. International Journal of Medical Informatics. 2004; 73 (7-8) : 631-8. Chen ES, Mendonça EA, McKnight LK, Stetson PD, Lei J, Cimino JJ PalmCIS: a wireless handheld application for satisfying clinician information needs.. Journal of the American Medical Informatics Association : JAMIA. 2004; 11 (1) : 19-28. Chen ES, Cimino JJ Patterns of usage for a Web-based clinical information system.. Studies in health technology and informatics. 2004; 107 (Pt 1) : 18-22. Chen ES, Cimino JJ Automated discovery of patient-specific clinician information needs using clinical information system log files.. AMIA ... Annual Symposium proceedings / AMIA Symposium. AMIA Symposium. 2003; : 145-9. Chen ES, Hripcsak G, Patel VL, Sengupta S, Gallagher RJ, Cimino JJ Automated identification of shortcuts to patient data for a wireless handheld clinical information system.. AMIA ... Annual Symposium proceedings / AMIA Symposium. AMIA Symposium. 2003; : 809. Lei J, Chen ES, Stetson PD, McKnight LK, Mendonca EA, Cimino JJ Development of infobuttons in a wireless environment.. AMIA ... Annual Symposium proceedings / AMIA Symposium. AMIA Symposium. 2003; : 906. McKeown K, Jordan D, Feiner S, Shaw J, Chen E, Ahmad S, Kushniruk A, Patel V A study of communication in the Cardiac Surgery Intensive Care Unit and its implications for automated briefing.. Proceedings / AMIA ... Annual Symposium. AMIA Symposium. 2000; : 570-4.